You’ve decided to sell your house and need an estate agent. In making your selection do you consider who’s offering the most competitive price, or, do you go with who has the best reputation and will do you the best job of selling your home? Whatever your criteria you settle on one agent, you certainly didn’t engage 5 or 6. The last thing you want is to give the impression that there may be something wrong with your house and you felt compelled to use as many agents as possible to sell it. Only after a period of time with no or little interest in your property might you decide to do a multi-arrangement and instruct another. So, what’s this got to do with recruitment? Back in the day, it may have been seen as an ‘honour’ to be on a company’s Preferred Suppliers List (PSL), however, the real truth is working with multiple recruitment firms can damage your recruitment process and repel your most desirable candidate. Let’s look at it, as an employer you have a vacancy you need to fill asap. You’re looking for a suitably experienced and qualified candidate who will fit in well with your existing team. What’s your next step? Phone loads more recruitment companies if you’re a big firm, and give each of them your role to work on. Why? Why not just start with one or two at a push like you do when you sell your house? 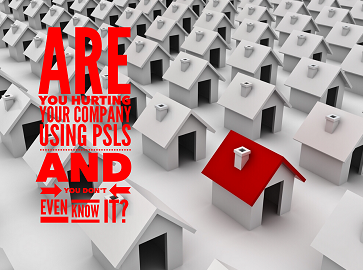 PSLs are usually seen as a cost saving exercise and it’s likely you’ve imposed low fee rates to your PSL members; some recruiters may promote their better candidates to clients who are willing to pay a higher fee margin. Also, if you have a very large PSL say 10+ recruitment companies if the recruiter believes they have say a 1 in 10 chance of filling a particular role then will they work as hard on your vacancy or concentrate their efforts on roles with clients that they have a better chance of filling? The latest “Report on Jobs” edition (April 2015) published by KPMG and the REC showed an increase shortage in good candidates relating to higher starting salaries as the shortage continues. Highlighting the importance now more than ever of having the most attractive recruitment process in place. Whilst PSLs have their place, for some positions working more closely with recruitment companies and working in partnership with them for specialist/harder to fill roles can be so much more beneficial for both you as the employer and the candidate experience too.